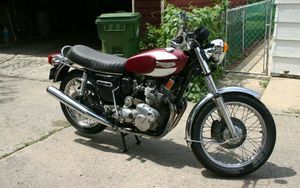 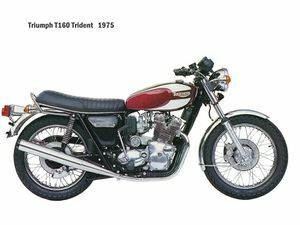 The Triumph Trident T160 is a 750cc, triple cylinder, four stroke, street motorcycle manufactured by Triumph from 1975 through 1976. The Triumph 1975 T160 differed from earlier Tridents in that it had an electric starter, a five speed gearbox and left side shifting. 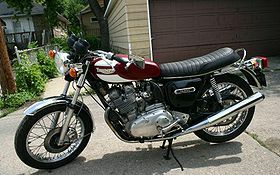 It also borrowed the forward slanting cylinder configuration from the BSA Rocket 3.